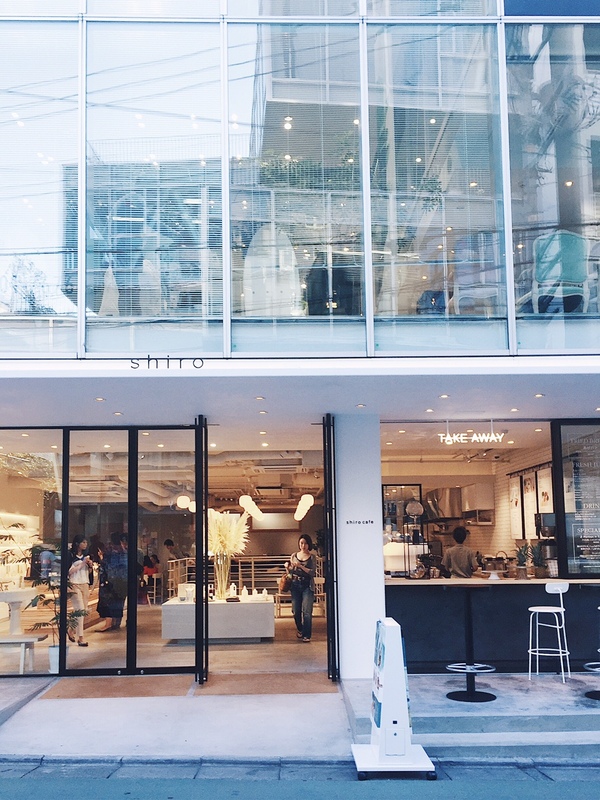 I HAVE FOUND MY CALLING...the SHIRO CAFE IN JIYUGAOKA, TOKYO. I MEAN...COME ON! Look at these walls!!!!! How perfect is this?????? The whole building was two stories...with the cafe and cosmetics up top and more household items and a make-up station down below. I went with my friend Yuki and we ordered some of the yummy food of the menu...she got the Mango pancakes while I got the berry ricotta ones....AMAZINGGGGGGGGGGNESS. All of the products made by Shiro are sourced and produced in Japan. 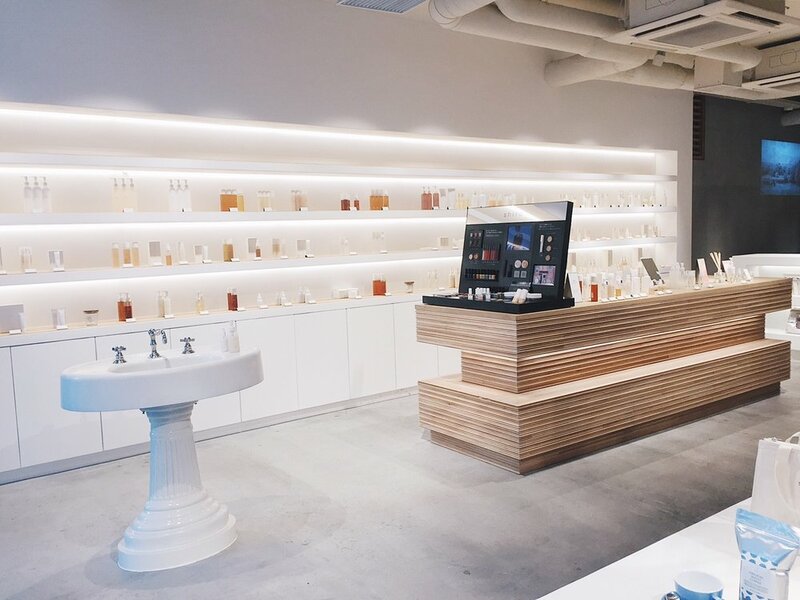 For example, they have KOMBU (seaweed) face wash, SAKE lotion, FLAXSEED oils, and a bunch of other amazingly healthy things for your skin. Oh...how I dream to have a vanity covered in this stuff! You know you're in a hip place when the bathroom is just as well designed as anything else in the building...WOW. 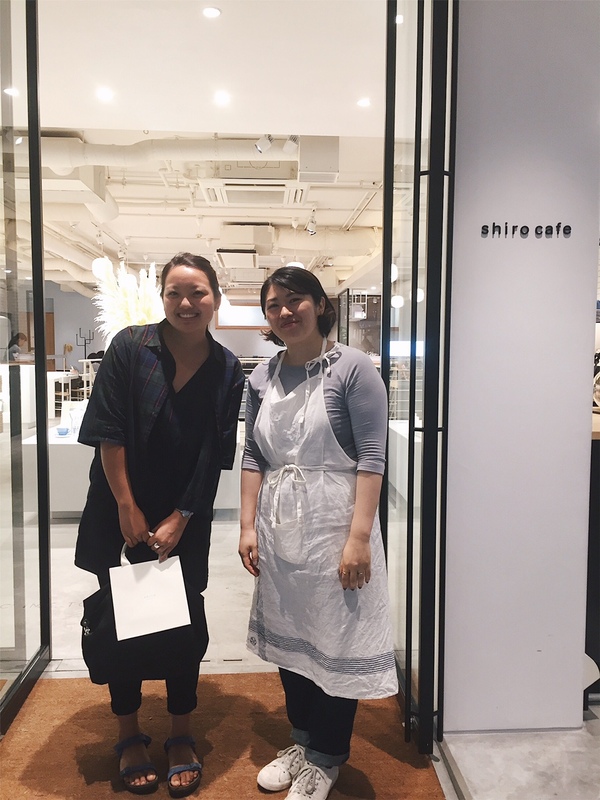 After Yuki and I ate, we cruised around the shop where I eventually got a free make-up trial using Shiros new bronzer and blush...and I was sold!! Such good products. let's pray they open one in LA soon! !